When we are talking about wine, that is. Large format bottles are fun to open when you have a big group over for tasting and they impact the way that wine ages in a bottle. 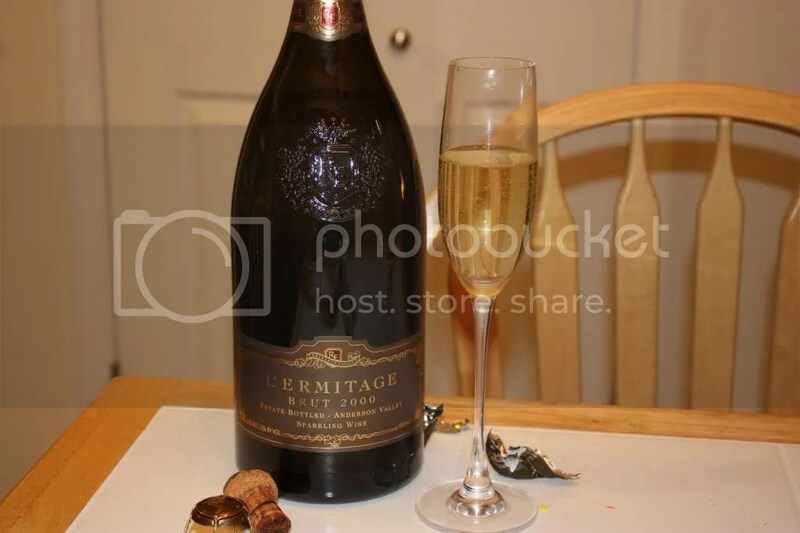 I particularly enjoy large format bottles for sparkling wines, though I buy them with all sorts of wine inside. I think I currently have about a dozen Magnum format bottles in the basement, mostly of Petite Sirah (which often has great aging potential) and of sparkling wine. We busted one open when an old friend came to town recently. 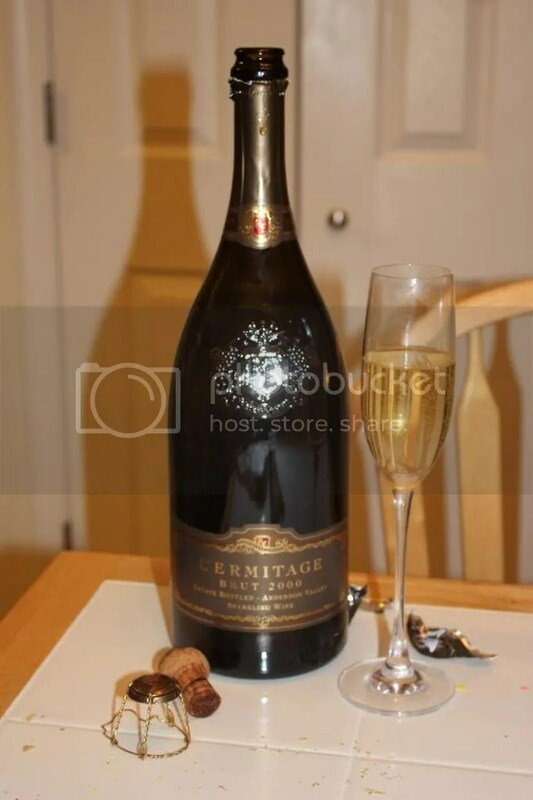 After perusing the options, we settled on the 2000 Roederer Estates L’Ermitage Brut. I purchased this wine directly from the winery a few years ago and it’s been resting alongside its siblings in our basement every since. I think it retails for around $100 for the bottle, but I can’t recall what I paid for it. 1.) Having a Magnum of sparkling wine makes you feel like you actually got enough glasses as you can never have too much sparkling wine. 2.) I’ve had this wine in a regular sized bottle before. You can read my notes from that and compare here. 3.) Nearly 3 years later and the large format bottle (not sure which or if both of those factors contributed) gave this bottle a heft on the palate that I didn’t find before along with a creaminess. 4.) I need to drink more bubbles. On the nose I got toast, bread, lemon, pear, and apple. In the mouth I found apple, toast, pear, yeast, and bread. Overall the wine had a heft and creaminess on the palate I really enjoyed, especially on the finish. Michigan now has 107 wineries. Have you written a blog post on specific states yet? There’s a company called https://cherriesandgrapes.com/ that is starting to be the single promoter of Michigan wines. I might contact them and see if they are interested in assisting you with an article.